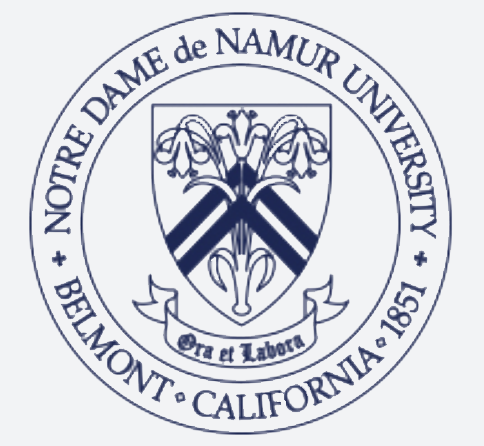 The Carl Gellert and Celia Berta Gellert Library is the center of intellectual inquiry and community engagement at Notre Dame de Namur University. The Gellert Library inspires reflection and innovation by supporting the diverse information needs of our users and furthers the goals of the University to promote a just, ethical, and diverse society. Please set your cellular phone to vibrate or silent and minimize usage in the library. Noise should be kept at a reasonable level. Students and visitors are expected to behave courteously toward the library’s staff. Public Safety officers will be called to handle disruptive users. The library staff cannot accommodate unattended children due to safety hazards in the building. If a child is left unattended in the library, Public Safety will be called. Some areas of the library are not accessible to students with disabilities. Please ask for assistance from any staff member. Every attempt will be made to assist in securing materials from inaccessible areas. The library is equipped with one adjustable desk for computer access by students in wheelchairs. A reading device is available for vision-impaired students. Other services for disabled students are available with Counseling, Health and Disability Services. The library pursues two lines of assessment, the assessment of student learning outcomes referred to as PLOs (Program Learning Outcomes) and the assessment of services. In addition to these library driven assessment efforts, NDNU also collects assessment data related to these areas through Information Literacy assessment and survey data. Those efforts can be reflected in library driven assessments. Take a look at the results of our recent assessment project. As the University’s knowledge center, the Library serves as a gateway to global information that promotes research, creativity, and discovery. The Library’s collection development activities and policy are intended to further the University’s mission of academic excellence by fulfilling the information needs of the NDNU community. A primary objective is to build collections that support and enrich the University’s liberal arts and professional studies programs and anticipated future programs. Another objective is to develop collections that advance the University’s core values related to global peace, community engagement, social justice, and diversity. Moreover, collections are developed that cultivate scholarship and enhance teaching.